The purpose of the Low Vision Clinic at ABVI is to help people carry out everyday tasks made difficult or impossible by low vision. 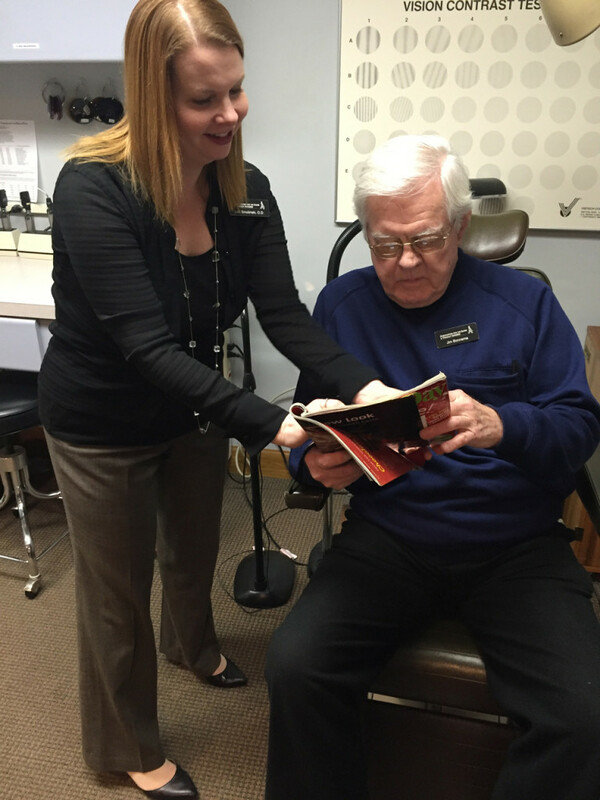 We help individuals learn to use low vision aids such as reading glasses, magnifiers, and electronic magnifiers to enhance their remaining vision. 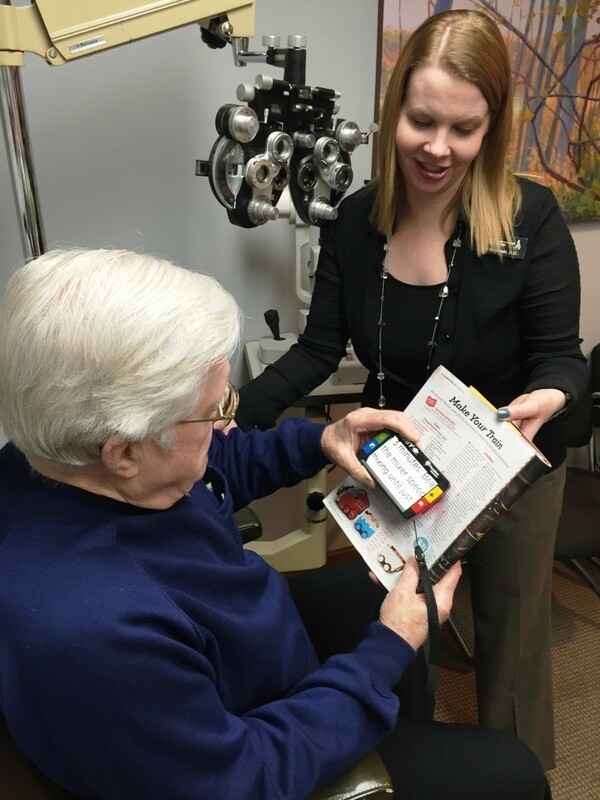 Our low vision doctor and professional staff meet with each new client and their family/support. Our doctors perform basic vision tests including field of vision, glare, lighting, magnification needs and more. 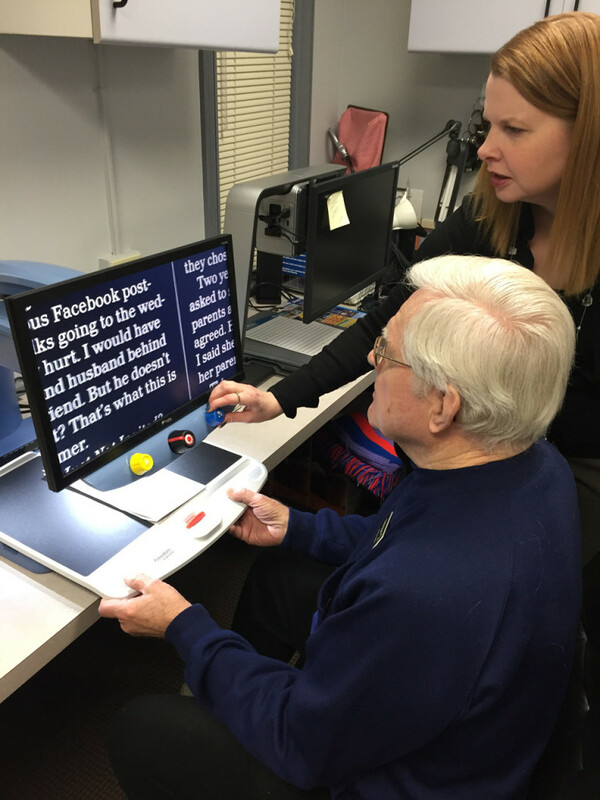 After these initial tests, an individual’s treatment plan is developed, including recommended low vision equipment, as well as follow-up services from our agency or other community agencies depending on their needs. At ABVI, we ask for information about each client’s needs and interests, to maximize their remaining vision. A majority of our clients simply want to continue living alone safely, paying their bills, and enjoying activities such as watching TV, reading, and knitting. Each of our clients agrees to a collaborative plan with our low vision team to accomplish what’s realistically achievable with their remaining vision.